Vanmorgen vroeg toen de meeste mensen nog lagen te slapen of brak aan het ontbijt zaten was Mo al vroeg in de weer. Mo steekt geen vuurwerk af, maar ruimt dit al 9 jaar lang op. Voornamelijk de hoofdwegen en de voetpaden vindt hij belangrijk om voor anderen begaanbaar te houden. 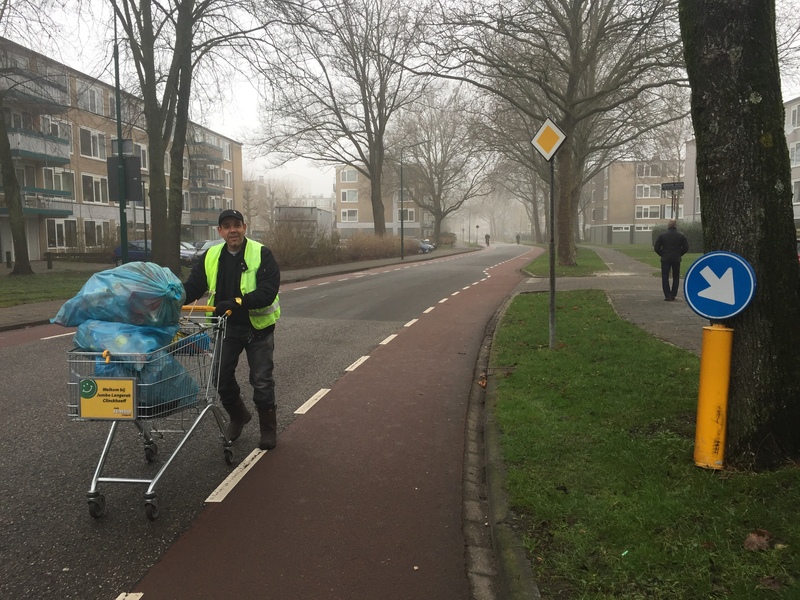 Eerst trekt Mo met vuilniszakken de wijk IJsselveld-Oost binnen om alle vuurwerk restanten op te ruimen om dit later met een Jumbo winkelwagen allemaal op te halen. Naast het opruimen repareert hij kleine dingen in de wijk die vernield zijn. Of ruimt hij de verkeerspaal op die tijdens Oud & Nieuw is vernield. Bedankt voor het opruimen en het fijne gesprek Mo. Veel mensen kunnen hier een voorbeeld aan nemen. Dus vuurwerkafstekers, tijd om op te staan en je eigen rommel op te ruimen. Dan maak je – net als Mo – IJsselstein weer een stuk mooier. Kan die man niet gewoon een baan gaan zoeken?? Toon respect voor je meden mens of heb je dat niet dan ga je dat maar leren . Ga jij je mond wassen met zeep nuttelose mens die geen respect heeft. Kees je doet je naam geen eer aan, nam jij maar het goede voorbeeld dan had je recht van spreken, kansloze wezen dat je er bent! Als Mo er niet was, dan was ijselveld oost een zwijnenstal iets wat jij kennelijk gewent bent thuis! En nou en of of dit een baan is, daar kunnen een hoop uitkeringtrekkers een goed voorbeeld aannemen. Kan jij jezelf niet beter ophangen? Kees, jaloerse kreng dat je er bent kom jij aandacht te kort ? Mo is een voorbeeld mens voor vele maar dat begrijp jij niet, nooit naar school geweest blijkbaar! Vind ik ook Peter wat een kansloze man die Kees! Begrijpt niets van deze samenleving! Hey kees bent een Sukkeltje! Mo echt top wat je doet, dat doet niemand je na! Mijn complimenten voor Mo!! Een voorbeeld voor ons allemaal!! 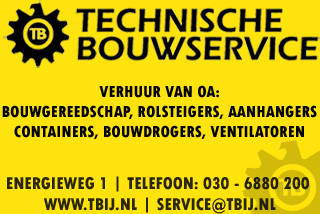 Toppertje van IJsselstein dat ben jij MO! RESPECT MOHAMMED! Alle andere misgunners kunnen beter aan zichzelf werk ipv dingen te roepen die ze zelf niet kunnen, echt diep respect! Goed van je Mohammed. 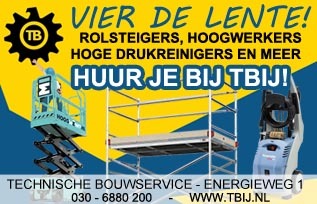 Jaren een trouwe helpende hand. Verdient echt een heldenspeld!! Leuk dat IJsselstein 2.0 hier ook eens aandacht aan besteedt. Jij bent een topper Mo en dat weten veel mensen in en buiten IJsselveld-Oost! Mo is een hardewerker, ijsselstein zou niet compleet zijn. Mo bedankt voor al het goeds wij kunnen het alleen waarderen dat jij zo’n mooie persoonlijkheid heb en veel over heb voor onze *(bijna verpeste) maatschappij! I’d always want to be update on new posts on this internet site, saved to favorites! I just want to say I am just all new to blogging and really loved your web blog. Likely I’m likely to bookmark your blog . You surely come with incredible articles. Many thanks for sharing with us your web site. I have learned some important things through your post. I would also like to say that there can be situation that you will make application for a loan and do not need a cosigner such as a Federal government Student Support Loan. In case you are getting a loan through a classic banker then you need to be made ready to have a co-signer ready to make it easier for you. The lenders will certainly base their decision on the few components but the main one will be your credit ratings. There are some loan merchants that will furthermore look at your job history and make up your mind based on that but in most cases it will hinge on your credit score. Thank you for any other fantastic post. Where else may just anyone get that kind of info in such an ideal approach of writing? I’ve a presentation subsequent week, and I am at the look for such information. Hi, i feel that i noticed you visited my blog so i came to return the want?.I’m trying to in finding things to enhance my website!I assume its ok to make use of a few of your ideas!! Hello my friend! I wish to say that this post is awesome, great written and include approximately all significant infos. I’d like to peer more posts like this . I like the helpful info you provide in your articles. I will bookmark your weblog and check once more here regularly. I am quite certain I’ll learn plenty of new stuff right right here! Best of luck for the following! I do trust all the concepts you’ve introduced in your post. They’re very convincing and will definitely work. Nonetheless, the posts are very quick for novices. Could you please prolong them a little from next time? Thank you for the post. magnificent points altogether, you just gained a logo new reader. What would you recommend in regards to your put up that you simply made some days in the past? Any positive? Just about all of the things you articulate is astonishingly appropriate and it makes me ponder why I hadn’t looked at this in this light previously. Your piece really did switch the light on for me personally as far as this specific subject goes. Nevertheless there is one particular point I am not really too comfy with and whilst I try to reconcile that with the actual central idea of the position, let me see what all the rest of the readers have to point out.Nicely done. You completed a number of fine points there. I did a search on the theme and found nearly all folks will have the same opinion with your blog. There’s certainly a great deal to find out about this subject. I love all of the points you’ve made. Hello there, I found your web site via Google while looking for a similar subject, your website came up, it looks great. I have bookmarked it in my google bookmarks. Somebody essentially lend a hand to make seriously posts I might state. That is the very first time I frequented your website page and to this point? I surprised with the research you made to create this actual post extraordinary. Great task! Someone necessarily lend a hand to make severely posts I might state. This is the very first time I frequented your web page and to this point? I surprised with the analysis you made to make this particular publish extraordinary. Fantastic process! Attractive part of content. I just stumbled upon your weblog and in accession capital to claim that I get in fact enjoyed account your weblog posts. Any way I will be subscribing in your augment or even I fulfillment you access consistently quickly. you are really a good webmaster. The web site loading velocity is incredible. It sort of feels that you are doing any distinctive trick. In addition, The contents are masterwork. you have performed a wonderful task in this subject! Its like you learn my thoughts! You seem to grasp a lot about this, such as you wrote the guide in it or something. I think that you simply could do with some percent to drive the message home a little bit, however instead of that, this is magnificent blog. An excellent read. I will certainly be back. I’m curious to find out what blog platform you happen to be working with? I’m experiencing some minor security issues with my latest site and I’d like to find something more safeguarded. Do you have any solutions? I and my buddies were actually analyzing the excellent ideas on the website and so unexpectedly developed a terrible suspicion I had not expressed respect to you for those tips. All of the young boys appeared to be certainly stimulated to see them and have now in actuality been having fun with them. Thanks for simply being well considerate and for settling on some great areas millions of individuals are really needing to be informed on. Our sincere regret for not expressing appreciation to you earlier. I have read several just right stuff here. Certainly price bookmarking for revisiting. I wonder how much effort you put to make this type of fantastic informative website. I like the valuable information you provide to your articles. I’ll bookmark your weblog and check once more here frequently. I am slightly sure I’ll be told a lot of new stuff right here! Good luck for the next! Helpful information. Fortunate me I discovered your site unintentionally, and I’m surprised why this coincidence did not came about in advance! I bookmarked it. Do you mind if I quote a few of your articles as long as I provide credit and sources back to your site? My blog is in the exact same niche as yours and my visitors would really benefit from some of the information you present here. Please let me know if this alright with you. Thanks a lot! Do you mind if I quote a few of your articles as long as I provide credit and sources back to your webpage? My blog is in the exact same area of interest as yours and my visitors would genuinely benefit from some of the information you present here. Please let me know if this alright with you. Thanks a lot! I like the helpful information you supply on your articles. I will bookmark your weblog and take a look at once more here regularly. I am reasonably certain I will learn many new stuff right right here! Good luck for the following! I just like the helpful info you provide to your articles. I’ll bookmark your weblog and take a look at once more right here regularly. I am moderately sure I will be told plenty of new stuff right right here! Best of luck for the next! Do you mind if I quote a couple of your posts as long as I provide credit and sources back to your site? My website is in the exact same niche as yours and my users would certainly benefit from a lot of the information you provide here. Please let me know if this ok with you. Thanks! My brother suggested I may like this web site. He was entirely right. This post actually made my day. You can not imagine simply how so much time I had spent for this information! Thank you! hi!,I like your writing very a lot! percentage we be in contact more about your post on AOL? I require a specialist on this space to solve my problem. May be that is you! Taking a look forward to see you. I am no longer positive the place you’re getting your info, but good topic. I needs to spend a while studying much more or figuring out more. Thank you for magnificent information I used to be looking for this info for my mission. I was extremely pleased to uncover this web site. I wanted to thank you for your time for this wonderful read!! I definitely enjoyed every part of it and i also have you bookmarked to see new things on your website. I was extremely pleased to discover this site. I need to to thank you for your time for this wonderful read!! I definitely really liked every bit of it and i also have you book-marked to check out new stuff on your site. I was more than happy to discover this great site. I wanted to thank you for your time for this wonderful read!! I definitely appreciated every little bit of it and i also have you book marked to look at new things on your blog. I’m not certain the place you’re getting your information, however good topic. I needs to spend a while finding out more or figuring out more. Thank you for great information I was on the lookout for this information for my mission. I was extremely pleased to uncover this website. I wanted to thank you for your time for this fantastic read!! I definitely liked every little bit of it and i also have you book marked to see new stuff in your blog. Woah! I’m really digging the template/theme of this site. It’s simple, yet effective. A lot of times it’s tough to get that “perfect balance” between user friendliness and appearance. I must say you’ve done a great job with this. Also, the blog loads very fast for me on Internet explorer. Excellent Blog! I have been surfing on-line greater than 3 hours these days, but I by no means found any fascinating article like yours. It’s lovely worth sufficient for me. In my opinion, if all web owners and bloggers made excellent content as you probably did, the internet will be a lot more useful than ever before.